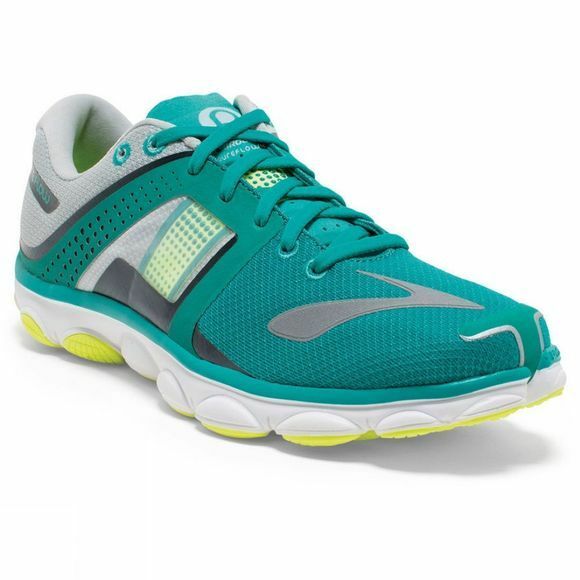 For a lightweight ride with plenty of cushion, look no further than the Brooks Women's PureFlow 4 running shoe. 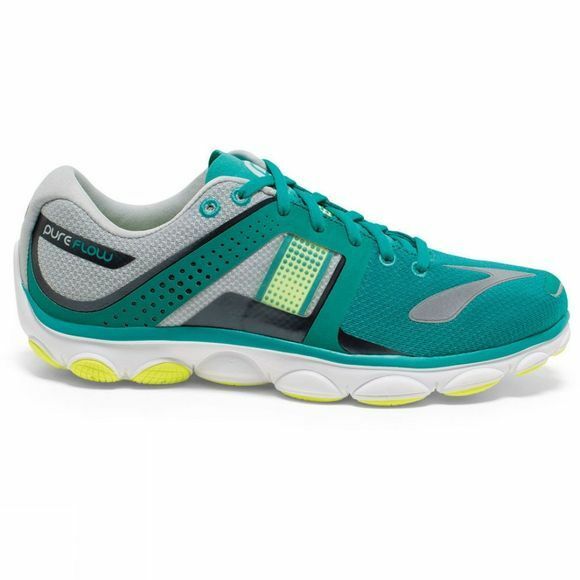 It boasts all the features you want in a high-performance running shoe; a rounded heel for a smoother stride, improved Toe Flex for better alignment and a wider Nav Band in the upper for a snug fit. All of this is wrapped up in a slick new design that brings loads of style with no added weight. So take that sweet, sweet cushion and hit the open road. Specifications: Shoe Category: Minimalist Ideal Use: Barefoot/Road Running Weight: Approx. 190-200 grams Glossary: Biomogo: The sustainable midsole with the unique cushioning effect. The new midsole material MoGo is an ingenious polymer structure that is more durable than EVA, offers a softer, more flexible running experience. Omega Flex Grooves: This innovation increases midsole flexibility and thus provides a stressfree run in the forefoot. The unique shape of the Omega Flex Groove permits dynamic runs without compromising cushioning. The elements are supportive in static and flexible and propelling in dynamic condition.